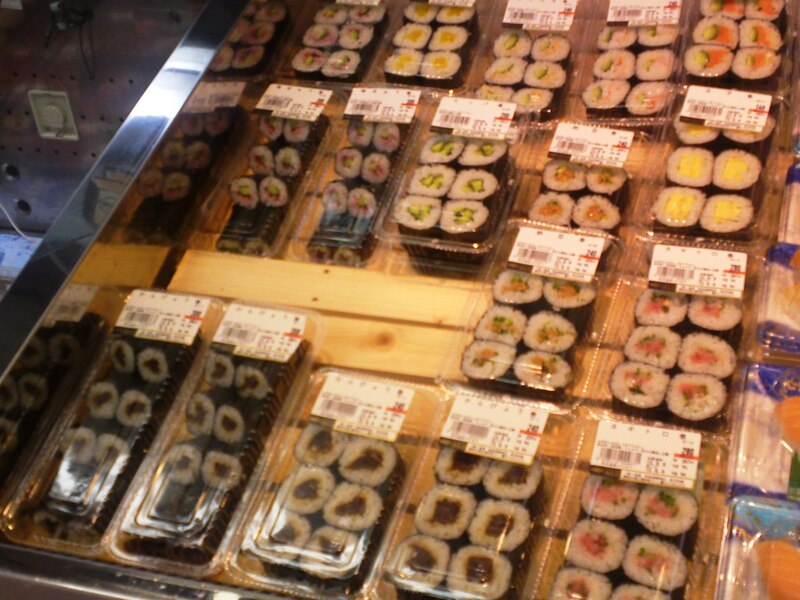 Due to the incredible wealth of fresh fish all year round, there is an enormous consumption of sushi at every level in Shizuoka City, from very cheap takeouts to expensive ( but certainly not as expensive as in Tokyo, qulity fro quality!) sushi restaurants. Next time you come to Shizuoka City for a few days and are looking forward to budget sushi do visit the local department stores where you will have the surprise to discover tasty, from reasonably fresh to very fresh, and reasonably priced sushi sets, bentos and takeouts you can take beck to the hotel or into a park for instant pleasure. Naturally I would advise the foreign (and Japanese) residents to do some homework! 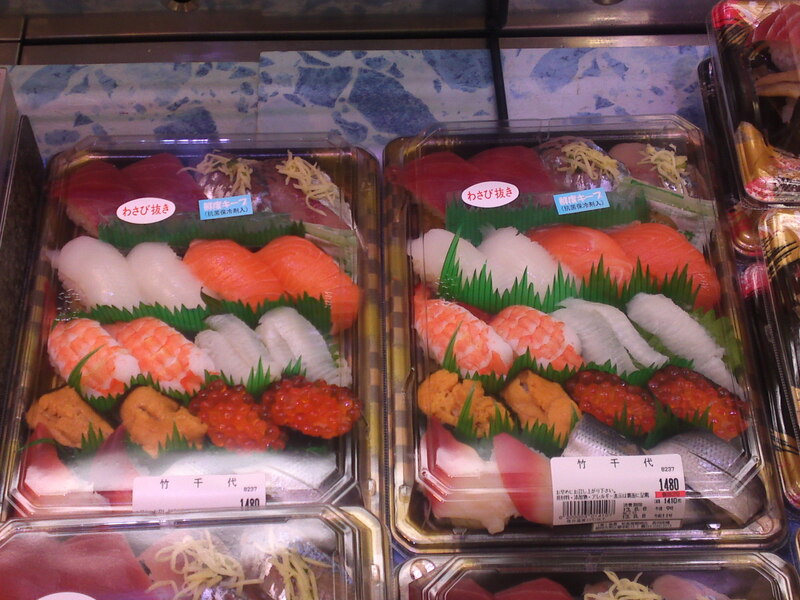 As for prices count 100 yen for 1 US $ or 130 yen for 1 Euro! As the supermarket is located in the basement you can access to it directly through the underground passageway from the station! All all tuna set! O-toro and Chu-toro nigiri and a negi-toro (grated tuna) inn gunkan style. 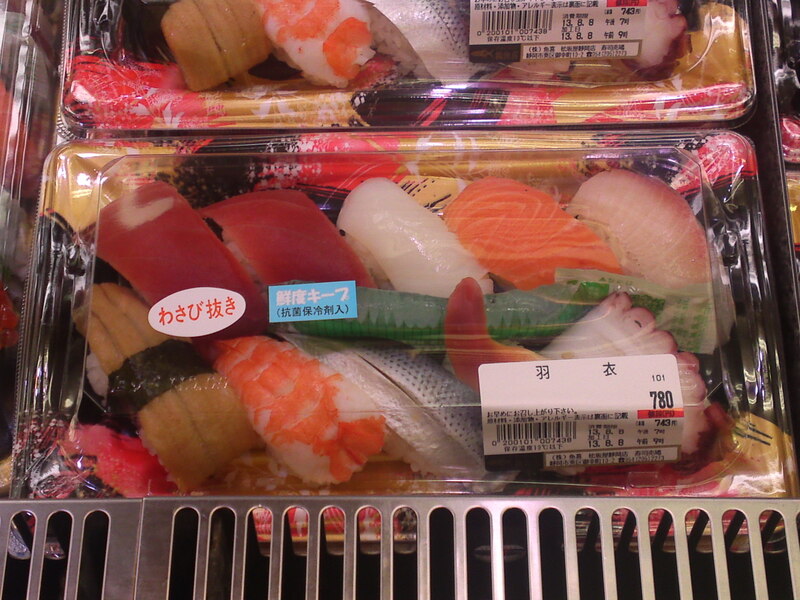 Note that the wasabi is separately served to suit all priorities. At 800 yen a giveaway! 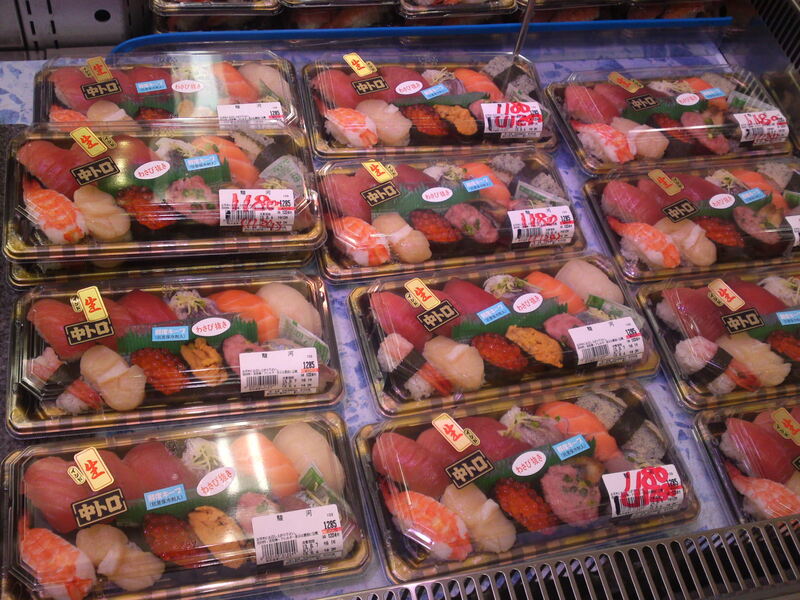 A more extravagant set including O-toro and Chu-toro, salmon, clams, salmon’s roe, sea urchin and white flesh fish! Only 1,285 yen! 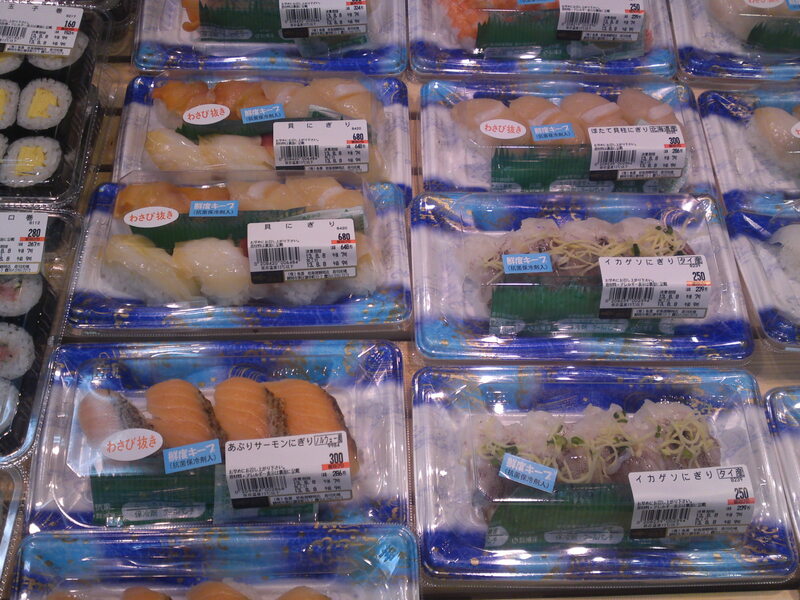 Among others this set features chu-toro, ama ebi/sweet shrimp, ikura/salmon’s roe and broiled conger eel! 980 yen! 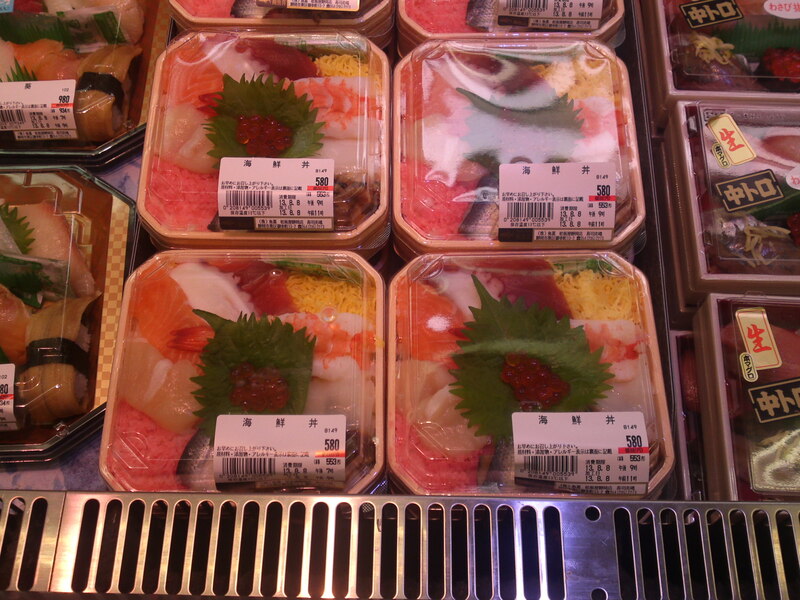 Kaisen Donburi, a cheaper and full meal devised as a donburi with ingredients arranged atop sushi rice including clam, octopus, boiled prawn, tuna, squid, shredded omelet, pickled mackerel and so on. At 580 yen ridiculously cheap! 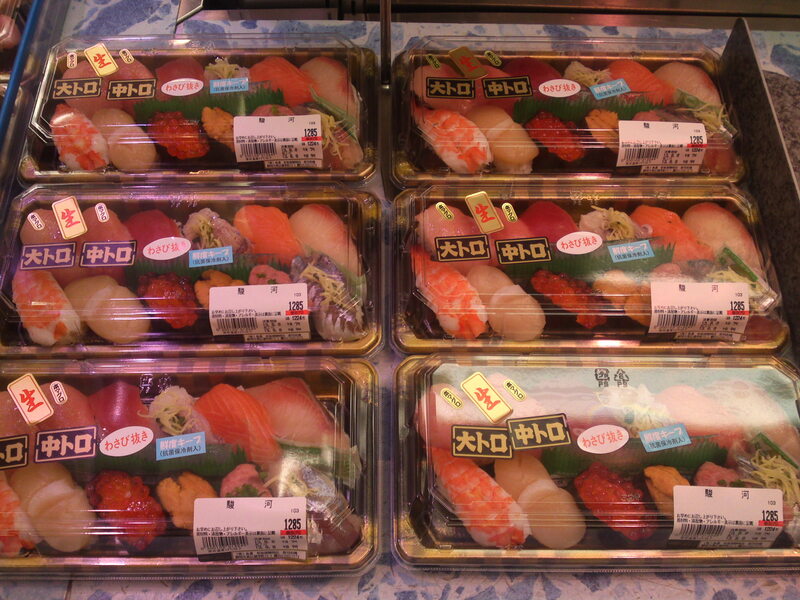 A more sophisticated set of sushi nigiri featuring Chu-toro, crab, saurel, red clam, ikura and kanpachi/amberjack or yellowtail. 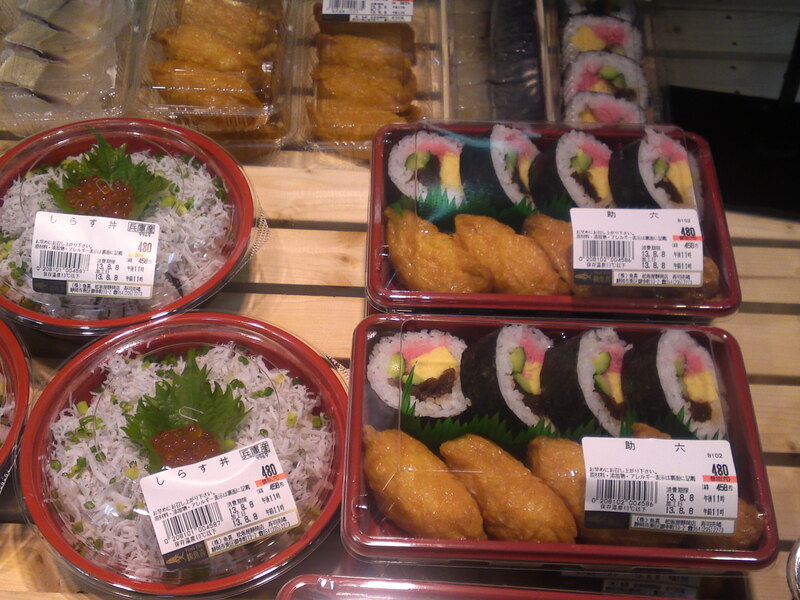 At 680 yen for the sushi lovers! This particular set has obviously been designed for a couple as all ingredients come in twos! 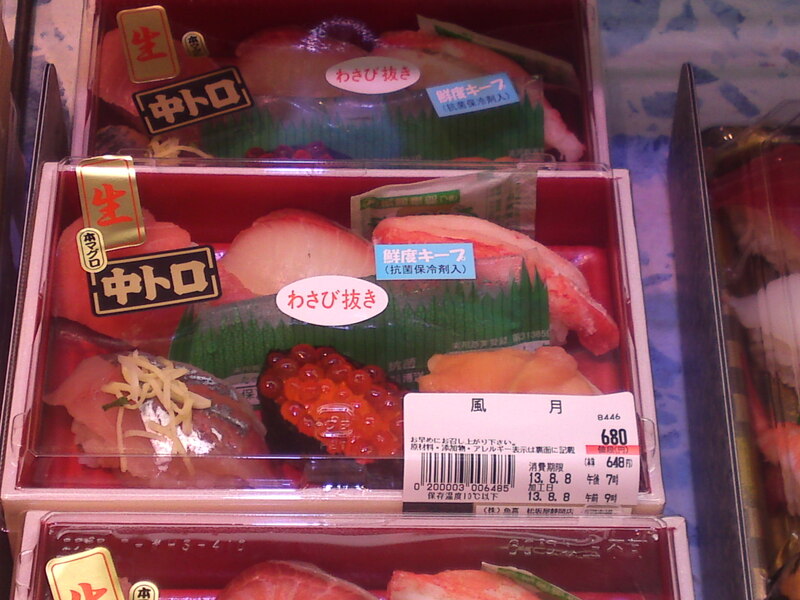 At 1480 yen it is very cheap as it includes sea urchin, ikura and tuna! This set called “Hagoromo”, a name found on matsubara Beach which has just become a UNESCO World Cultural Heritage in the company of Mount Fuji, is perfect for a full lunch or dinner as the nigiri have been devised smaller on purpose but still featuring such ingredients as tuna, conger eel, pickled mackerel, boiled shrimp, raw salmon and so on. Only 780 yen! “Maguo Zukushi Set”/All tuna set! 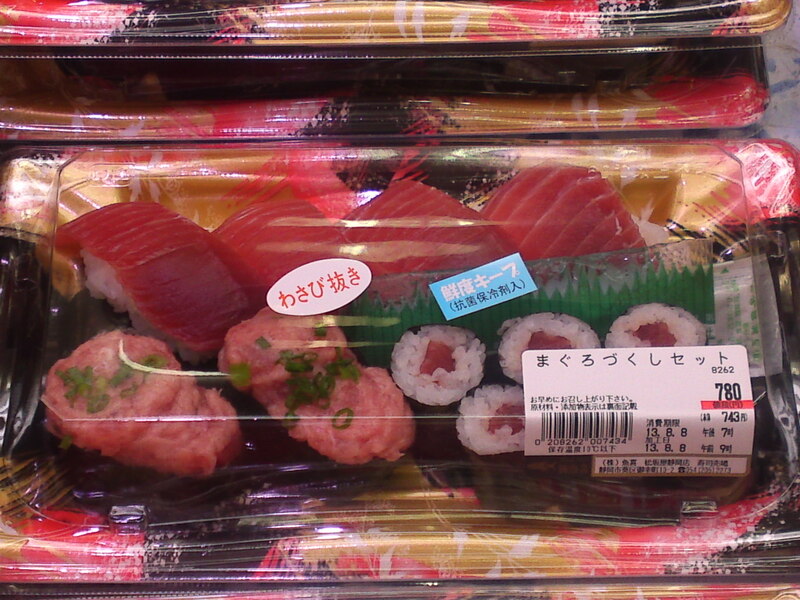 As nigiri with slices of raw tuna, gunkan containing negitoro/grated tuna and tuna sushi rolls! 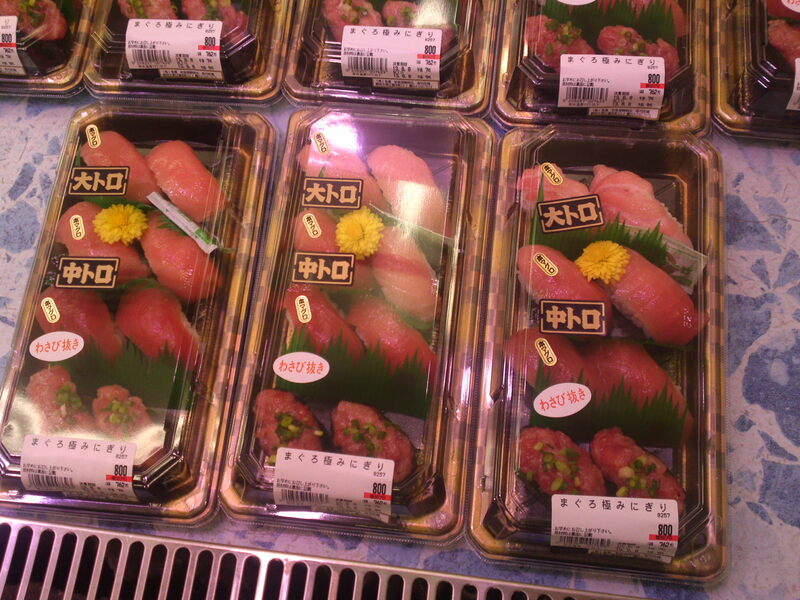 At 780 yen you can enjoy tuna in 3 different ways! Another budget-like sushi set featuring a great variety of ingredients including tuna, squid, seared salmon, kampyou maki rolls and so on! Only 580 yen! 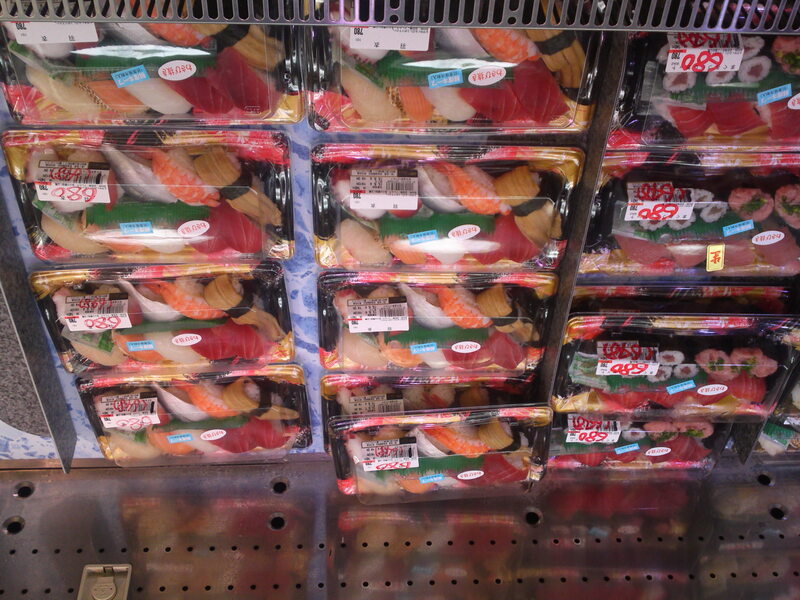 All kinds of rolls for less than 300 yen a pack! 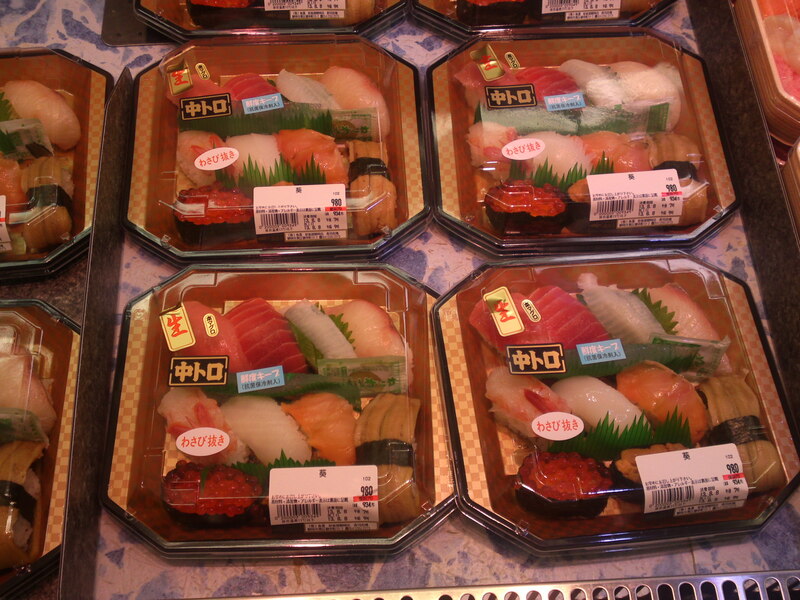 Very reasonable and yummy set of 8 (less than 700 yen) and 4 (less than 300 yen) nigiri sushi which allow you to choose a predetermined ingredient at a reasonable price to complement your meal! Now, if you come late in the afternoon, at about 5:30 or later you might be able to profit from bargained prices but you will have to hurry as it is a real battle to get them after office hours! 680 yen, can you beat that? 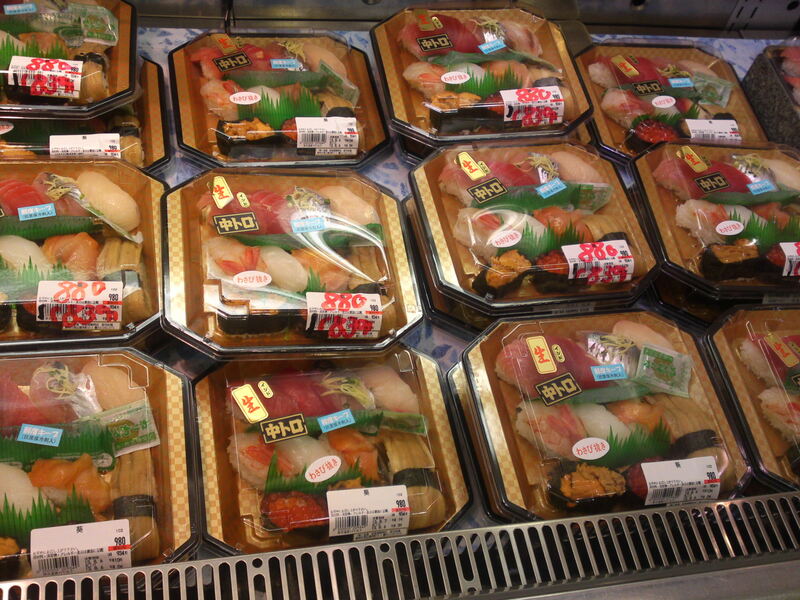 11 x nigiri sushi for 880 yen! 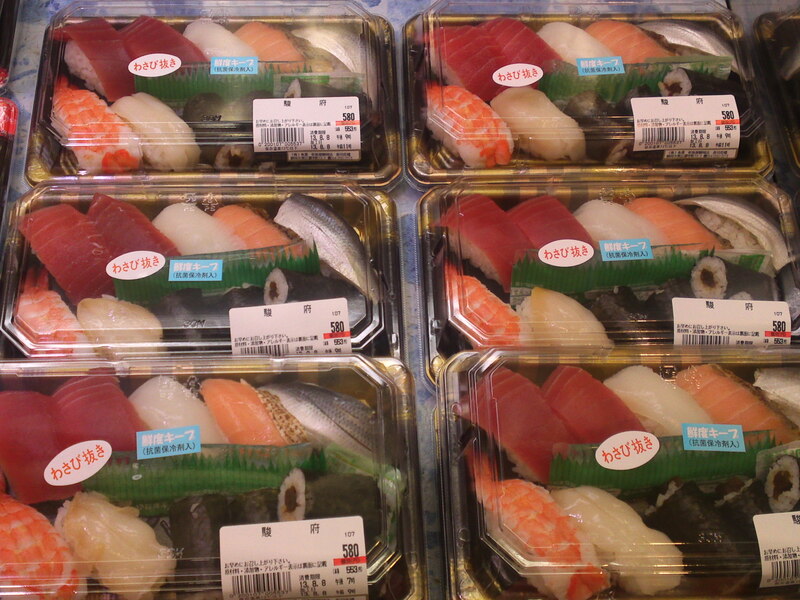 A truly extravagant set of 12 x nigiri sushi for 1,180 yen! next i will take you to two different places inside Cenova Department Store, about 15 minutes walk from Shizuoka JR Station!